Connecticut is making strides in retooling the Connecticut homeless services system to embrace Housing First and modernize to end homelessness. 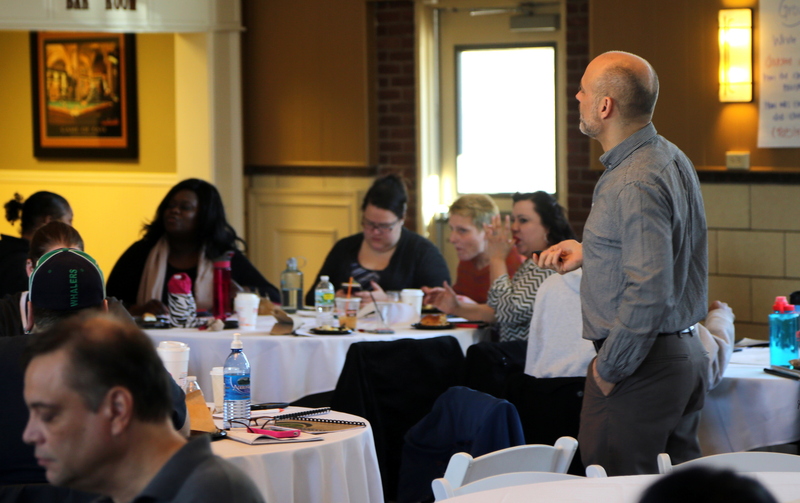 During the week of February 22nd -26th, over a hundred homeless services providers, managers, and directors as well as some city & state employees came together to participate in Diversion trainings hosted by CCEH in Middletown and West Haven. Shelter Diversion is one of the simplest, but most challenging ways of reducing demand for housing services. Though this ‘lightest touch’ approach may only prevent around 20 to 30 percent of clients from entering the homeless system, 80 percent of that group does not return. This practice can significantly reduce the costs on the shelter and housing system and permanently keep people from experiencing homelessness. Shelter Diversion is not an additional barrier to entering the shelter system, but a method of finding effective, permanent housing alternatives to becoming homeless. For some individuals or families, Diversion can look like providing incentives for housing alternatives through financial assistance, such as back-rent, utility assistance, or a one-time cost like a security deposit for an apartment. Alternatively, the process of active listening and conflict mediation by shelter staff can to help others reconnect with their social support networks. 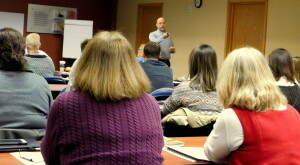 Ed Boyte, a national leader in employing shelter diversion from his work at the Cleveland Mediation Center in Ohio, led the Diversion trainings in February. He is a pioneer in the method of using conflict resolution skills to divert people from homelessness and travels across the country to train others to utilize these strategies for their own shelters. These one time, small investments of time or resources can prevent homelessness for many families and individuals entering homelessness, sometimes with nothing more than conversation. The approach is meant to be personalized for the strengths, skills, and barriers that each unique client is facing and empower them to make safe and appropriate decisions for their housing. Diversion can mean something different for every client based on their skills and barriers. Diversion could be helping someone feel like they can negotiate with their landlord or their employer, a mediation between a mother and daughter, or a bus ticket to get to a relative’s home. The client can often get a second chance, with a little more support, to stay in housing. For providers, diversion means more room for other, higher-need clients in their shelter and greater resources for those individuals. We are so glad to have so many support workers throughout Connecticut give their time to develop these skills and learn to implement them in their shelters. 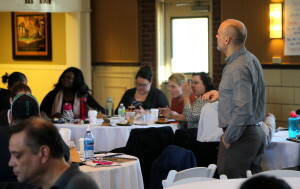 Housing First principals and strategies, like diversion, are energizing providers and building Connecticut’s momentum to end homelessness.